Breaking away from the stereotype often associated with former child stars, Malcolm-Jamal Warner has not only achieved continued success in his acting career, but he has also received rave reviews in several new creative ventures. Somehow managing to juggle his full-time acting career with playing bass for his new Jazz Funk Band, Miles Long, his Performance Poetry gigs and his civic-minded advocacy appearances, Warner doesn’t leave much room for dreaming—because he’s already living his dreams. At a mere 29, he has accomplished more than many people do in a lifetime. After pursuing his love for the electric and upright bass, and forming his band, Miles Long, Warner began to perform at clubs around the Los Angeles area and has garnered quite a loyal following. Early next year, Miles Long will release their debut album, “The Many Facets of Superman,” followed by a select-city tour. In addition to his musical role in Miles Long, Warner also stars as Malcolm McGee, the cautious, more practical half of Malcolm & Eddie, UPN’s popular comedy series that focuses on two twentysomething men who couldn’t be more different but somehow forge a friendship in a Kansas City bar. An upstanding young man, who joins Eddie (Eddie Griffin) in a business venture, Malcolm is constantly trying to contain the impulsive behavior of his cohort. A seasoned director, Warner is the resident helmer on Malcolm & Eddie, and has also directed episodes of The Cosby Show, The Fresh Prince of Bel Air, All That, and Sesame Street, as well as music videos for MC Trouble, Larry Springfield and New Edition. His film short, This Old Man, received critical acclaim on the film festival circuit. He also directed, produced and hosted the half-hour tribute to The Cosby Show entitled, The Last Laugh: Memories of The Cosby Show. Always civic-minded, Warner has been involved in several programs that reach out to the community. He hosted the Emmy-award winning Kids Killing Kids and recently directed Teen Files: Truth About Violence. An 80′s icon, Warner is perhaps best known for his role as Theo Huxtable, a teenager growing up in contemporary America, on the hit television series The Cosby Show. After eight seasons, he went on to star in the comedy series, Here & Now. He has also had leading roles in several high profile HBO telefilms, including The Tuskegee Airmen and Tyson. His other television credits include The Father Clements Story, Mother’s Day and the after school special Desperate Exit. Warner made his feature film debut in 1994 as Welsey Snipes’ brother in Drop Zone. In addition, he had co-starring roles in the independent films, Restaurant and A Fare to Remember. A stage performer at heart, Warner also enjoys participating in live poetry readings—in his spare time. He combines his poetry and theater skills to create “Performance Poetry,” which has made him a local favorite in the fast-growing Spoken Word circuit. Warner currently resides in Los Angeles. Although some people may narrowly view him as the kid who grew up on national television as the only son of the Huxtables, he is constantly reinventing himself and never ceases to expand his horizons and hone his talents. Do you want to hire Malcolm Jamal Warner? Directly request a quote. In 48 hours we can send you the availability of Malcolm Jamal Warner If you would like to book Malcolm Jamal Warner, Entertainment Booking Agency is the right place. 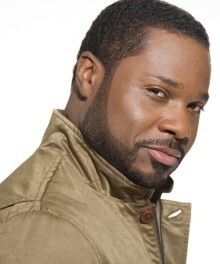 We will offer you the best price and contact the management or we directly contact Malcolm Jamal Warner. For corporate appearances or speaking engagements you can contact our agents and the will help you true the process. Tags: hire Malcolm Jamal Warner, Malcolm Jamal Warner booking, book Malcolm Jamal Warner, Malcolm Jamal Warner appearances, find more information on booking Malcolm Jamal Warner for appearances, Malcolm Jamal Warner speaking engagements, Malcolm Jamal Warner endorsements/spokesperson, Malcolm Jamal Warner appearance fees, Malcolm Jamal Warner booking agency contact info, biography of Malcolm Jamal Warner, Contact an artist booking talent agent find a speakers bureau that can book Malcolm Jamal Warner, speaker booking agency for Malcolm Jamal Warner, Malcolm Jamal Warner booking agency, Malcolm Jamal Warner booking for corporate event. EBA is one of the biggest entertainment booking agencies in the World. We book hundreds of celebrities, artist, athletes and speakers in a year. Important to know is that we are not claiming to be the management of Malcolm Jamal Warner. We are not the official agent for Malcolm Jamal Warner. Companies from around the globe book these artists and speakers true our company be course we have one of the biggest networks and we always have direct contact with the artist or the management. We help you to find the right celebrities for your corporate of private events. Please contact one of our agents to get free advice and we will help to get the world-famous artist on your party.